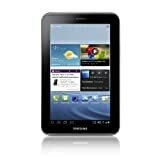 Amazon has the samsung galaxy tab 2 (7-Inch, Wi-Fi) 2012 model for $99 with free shipping. Sells for $239+ Highest Price. Deals for $99 Lowest Price. Normally $158+.